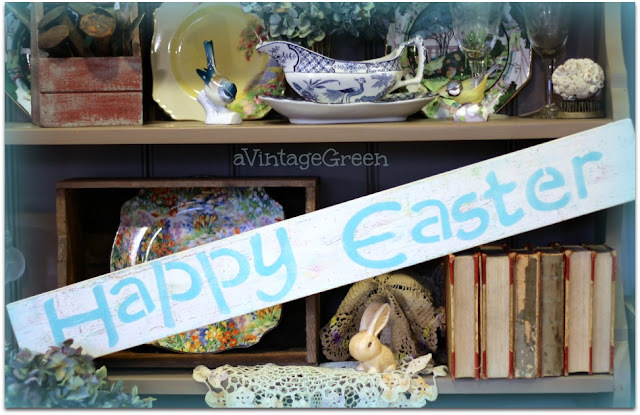 DH and I had a one day play-cation Friday and went on a long thrifting drive. Great fall weather, fairly empty highway, great sunrise, fall colours and sunshine along the highway, some nice chat with people we met, a good time for us to share uninterrupted visiting, a bit of rain the last hour from home. 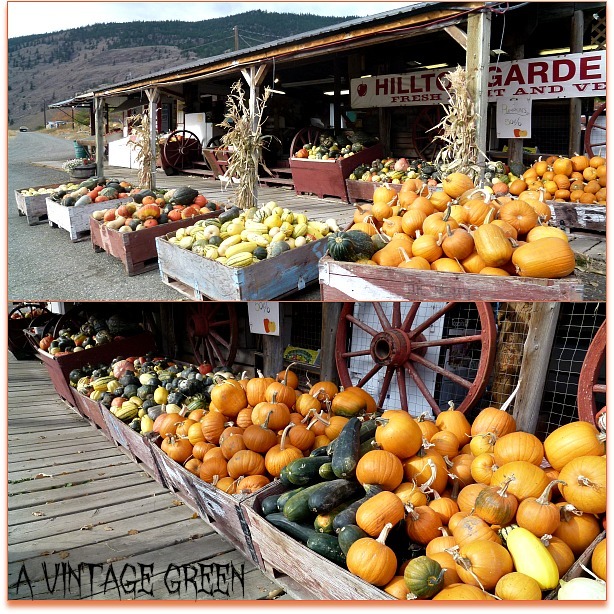 Heading home we stopped at a favourite fruit and vegetable stand, decked out for Halloween with their own produce. 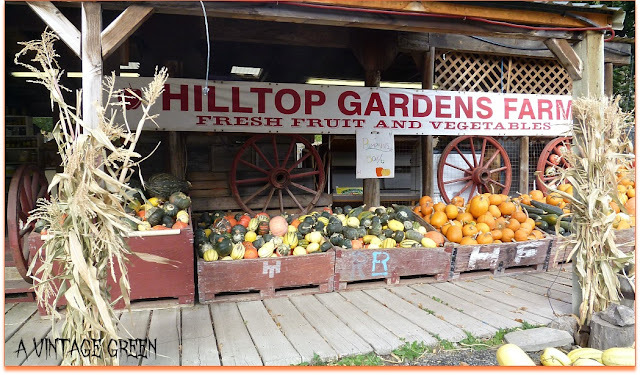 Hilltop Gardens Farm is near Spences Bridge BC. Thanks to the owner for giving permission to share. I bought honey made in Ashcroft and Hilltop Gardens Farm Ambrosia Apples, Roma tomatoes, just picked cantaloupe and was given some garlic with a "Happy Thanksgiving". Tomorrow is Thanksgiving in Canada. Last weekend we had our Thanksgiving Dinner with DS and DGS. Then we decided to have a 2nd Thanksgiving Dinner on the 12th (Monday), I love turkey dinner, turkey sandwiches and turkey soup. Every year when I write my pumpkin post I add one of my favourite photos from 2012 (DGS was 9). This always makes me smile. Thinking Happy Halloween and happy carving and pumpkin guts. Canadian Thanksgiving Greetings to my Blogging Friends. I loved all these photos! You have captured Fall! Happy Thanksgiving dear Canadian blogger friend! I love fall and Thanksgiving! I love that last pic! So fun. Great seasonal pictures. Isn’t it fun finding blues to share? Happy Thanksgiving, Joy! 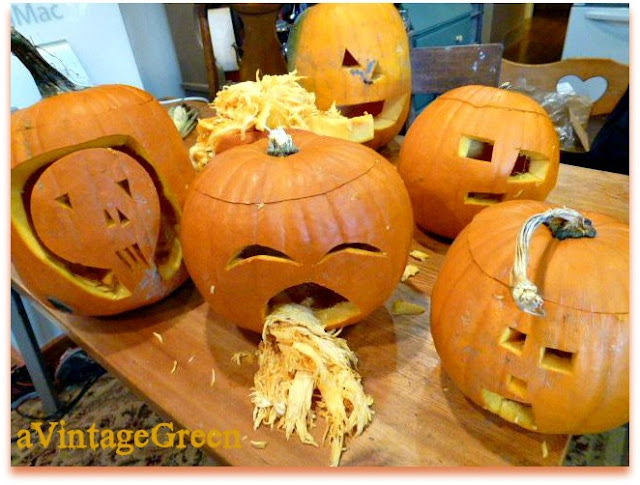 The jack-o-lanterns in the last photo made me smile too! Oh how fun! I want to go! Thanks for coming over and sharing at The Fabulous Fall Party! 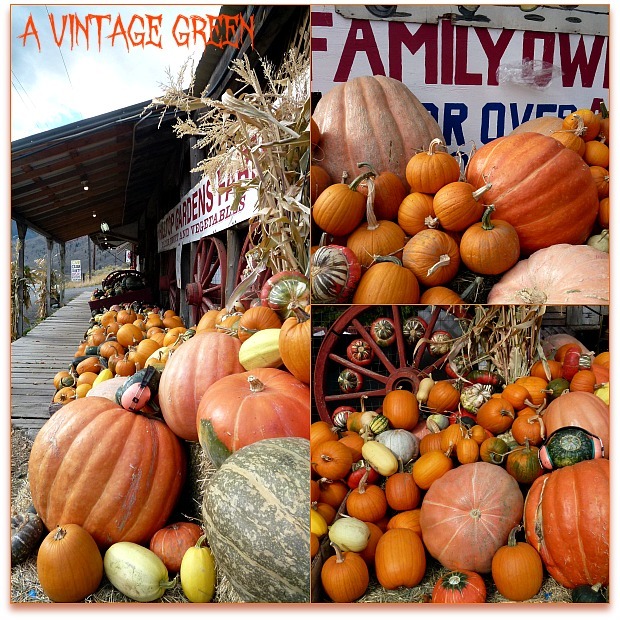 Wow looks like a marvelous place and tons of fresh pumpkins! What a beautiful selection of pumpkins. Glad you had an enjoyable trip with a day of thrifting and beautiful weather. It really makes me feel like fall has arrived when the pumpkins and squash arrive. Such great color. You had a nice day of thrifting and pumpkin looking! Happy belated Thanksgiving, Joy! I love turkey, too, especially with gravy and cranberry sauce and stuffing. 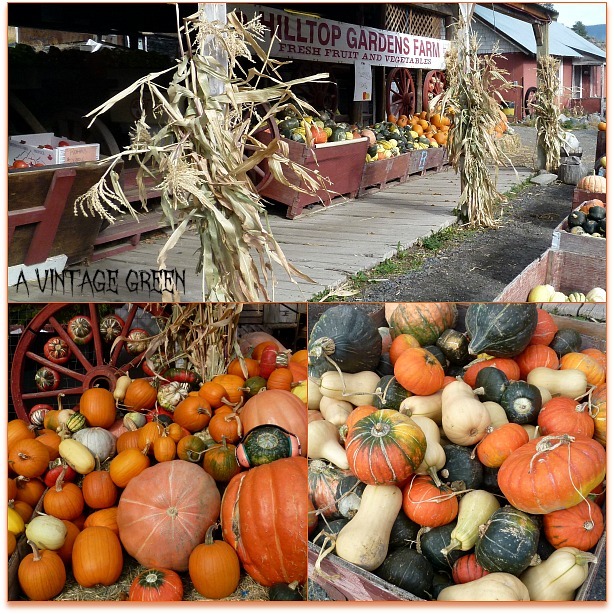 What fabulous photos of your visit to Hilltop Gardens Farm, so many plump or petite pumpkins to choose from, whatever one's fancy! Those pumpkins are so beautiful. Happy late Thanksgiving. I hope you had a great Thanksgiving! 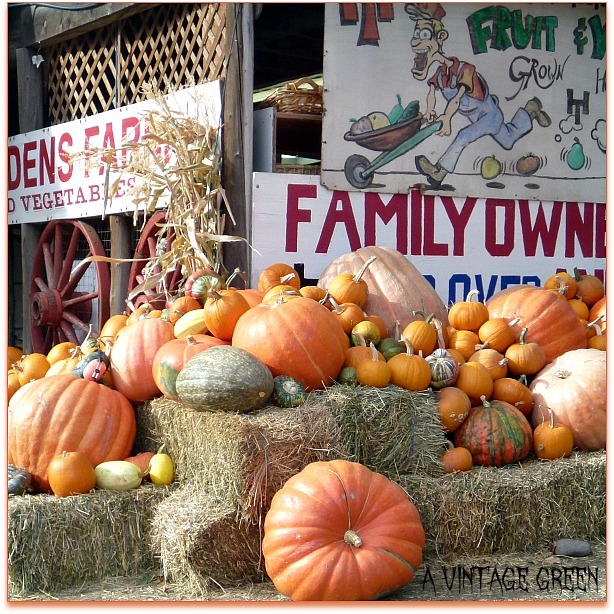 All of those pumpkins and gourds are amazing!